Serving Jasper, Indiana patients since 1984, expert orthopedic surgeon Randall Norris, MD is known for his extensive background in quality orthopedic care. Dr. Norris is currently accepting new patients at Norris, Blessinger & Woebkenberg Orthopaedics & Spine. After earning his medical degree from Indiana University School of Medicine, he went through his orthopedic residency training at the Medical Center of Louisiana in New Orleans. 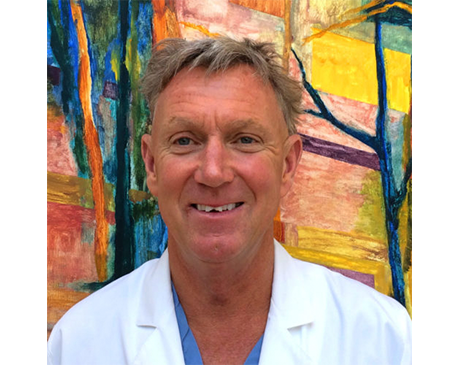 He’s currently board certified in orthopedic surgery through the American Board of Orthopaedic Surgery. Dr. Norris specializes in minimally invasive orthopedic surgery. He can help patients who have knee disorders, back pain, rotator cuff injuries, and Achilles tendinitis, to name a few. Dr. Norris can even improve issues with chronic arthritis pain or old injuries. When Dr. Norris isn’t busy caring for patients, he enjoys training for triathlons. As an accomplished triathlete, having competed in the Ironman Triathlon World Championship each year from 2004-2011, Dr. Norris understands the unique challenges that athletes and exercise enthusiasts face. He can help competitors get back in the game and become stronger than they were before the injury occured.